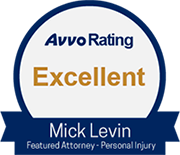 Sisler v. AMEX Assurance Co.
At Mick Levin, PLC, we understand that filing a policy claim with your insurance company can be a difficult and intimidating process. Many people feel pressured and helpless when a massive insurance corporation refuses to pay on a policy, and think there is no way to contest it. However, insurance companies must obey the law like everyone else. It is important to know your rights to sue an insurer. Insurance companies breach their duty to you when they put their interests in making money ahead of your interest in being compensated for your loss. Your insurance company owes you a duty of good faith and fair dealing when investigating and processing your claim. We can help you determine if you have a legitimate claim against your insurance company. Our personal injury law firm handles insurance claims cases with experience, skill and compassion. We invite you to speak to one of our lawyers at a free, no-obligation initial consultation. Insurance companies were created as a means to spread risk among their insureds. In order to accomplish this goal, an insurance company collects a premium from a large number of insureds. The insurance company then pays out that premium to those who suffer a specific type of loss covered by the insurance policy. For the insured, they receive peace of mind that should a calamity arise that is covered by the insurance policy, the insurance company will pay the insured the amount of the covered loss. Insurance companies can only show a profit and stay in business by collecting more in premiums and investments of those premiums than they pay out in expenses and claims. For example, an insurance company collects $100.00 from 10 people or $1,000.00. The insurance company invests that money and makes $100.00, which means the insurance company has $1,100.00. The insurance company also has $200.00 in expenses, which leaves it with $900.00. If the insurance company pays less than $900.00 in claims, the insurance company shows a profit. If the insurance company pays more than $900.00 in claims, it loses money. By necessity, there needs to be a balance between an insurance company's interest in making money and an insured's interest in being covered for the calamity they sought to insure themselves against. The insured has an interest in having the claim paid to avoid the the financial consequences of the calamity. The insurance company needs to show a profit in order to stay in business. The insurance company can show a profit most easily by denying claims, often by claiming technical excuses for breaching the contract or using the specific words of the contract to refuse to perform. Whether it is a life, health, dental, disability, home owner, business, or automobile claim, an insurance company must do a reasonable and prompt investigation and evaluation of the claim before denying it. The insurance company must give its insured's interests the same consideration as it gives its own interests during the investigation and evaluation process. If the insurance company fails to do so, the insurance company is said to have violated the "Covenant of Good Faith and Fair Dealing," which is a general assumption of the law of contracts, that people will act in good faith and deal fairly without breaking their word, using shifty means to avoid obligations or denying what the other party obviously understood. If you believe an insurance company violated the Covenant of Good Faith and Fair Dealing, please contact us for a free consultation.